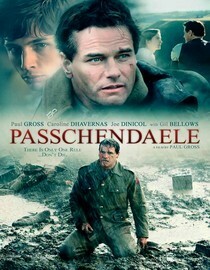 Netflix IMDB Amazon Passchendaele 2008 NR Paul Gross Wounded in World War I, Canadian Michael Dunne (Paul Gross) falls in love with his nurse, Sarah (Caroline Dhavernas). When he learns that Sarah's impetuous younger brother, David (Joe Dinicol), has been called to fight, the recuperated Michael sets out to protect him. But history will reveal that Michael is following David into the Battle of Passchendaele, one of the bloodiest conflicts of the war. Gross writes and directs this powerful film. 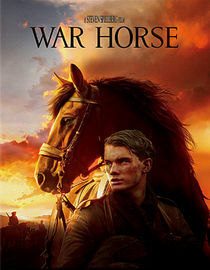 Netflix IMDB Amazon War Horse 2011 PG-13 Steven Spielberg Adapted from a novel by Michael Morpurgo, this majestic World War I drama centers on Devon lad Albert and his steadfast horse, Joey, whose faithful bond cannot be shaken -- even when Joey is sold to the cavalry and sent off to France. 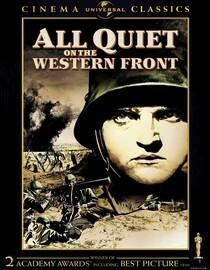 Netflix IMDB Amazon All Quiet on the Western Front 1930 NR Lewis Milestone Teenage German soldiers pass from idealism to despair in this poignant, Oscar-winning depiction of survival on the front lines, adapted from an anti-war novel by Erich Maria Remarque and banned in a number of countries during wartime. Awarded Best Picture in 1930, the film has lost little of its original impact, with brutal imagery and a peaceful message that also earned director Lewis Milestone an Academy Award for Best Director. 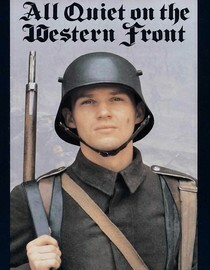 Netflix IMDB Amazon All Quiet on the Western Front 1979 NR Delbert Mann This remake of one of the great war stories of all time stars Richard Thomas as a gung-ho German student recruited into the army during World War I. But over time he begins to view the war as a tragedy for the fighting men on both sides. 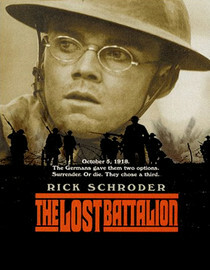 Netflix IMDB Amazon The Lost Battalion 2001 NR Russell Mulcahy It began on October 2nd, 1918, when the men of the U.S. Army's 77th Division, 308th Battalion were surrounded by German troops in the Argonne Forest. 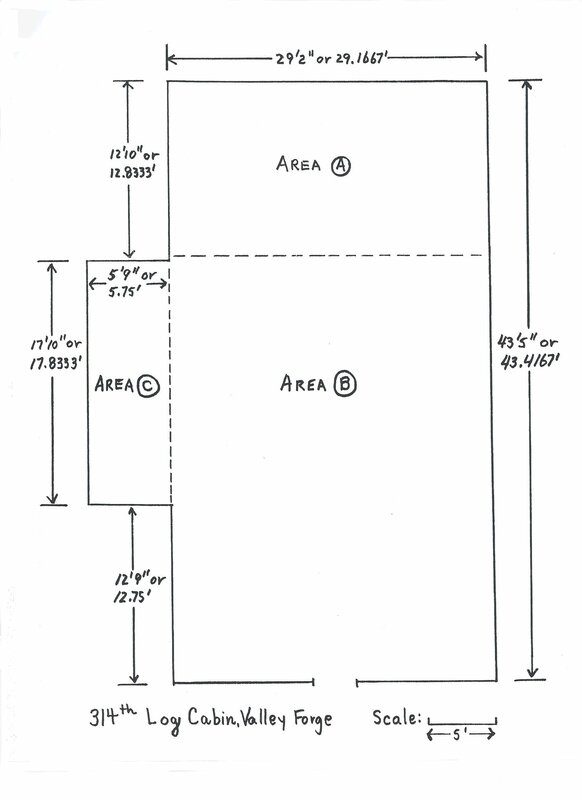 Without food, water or reserve ammunition, cut off from supply and communication lines, they managed to hold off the enemy until they were finally rescued. Based on William March's acclaimed novel, this pensive drama centers on Joe Delaney (Ari Fliakos), a distraught World War I veteran who copes with the horrors he's endured in battle by writing a memoir recounting his experiences. Featuring a first-rate ensemble cast that includes Tina Benko and Steve Cuiffo, director Robert Clem's faithful adaptation paints a vivid picture of the psychological scars left on soldiers in the aftermath of war. 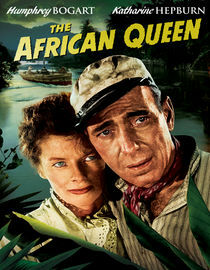 Netflix IMDB Amazon The African Queen 1951 NR John Huston Charlie Allnut (Humphrey Bogart), the booze-guzzling, rough-hewn captain of a broken-down East African riverboat, teams with a straitlaced, iron-willed missionary (Katharine Hepburn) to take on a menacing German gunboat during World War I.
Netflix IMDB Amazon Hell's Angels 1929 PG Howard Hughes Siblings Roy and Monte Rutledge (James Hall and Ben Lyon) shirk Oxford's academic demands and join the Royal Air Force Academy during World War I in this drama directed by Howard Hughes. Though they're brothers, their personalities are like night and day -- which may make the difference in their ability to survive. Co-star Jean Harlow is ahead of her time playing a woman who's comfortable with her budding sexuality. 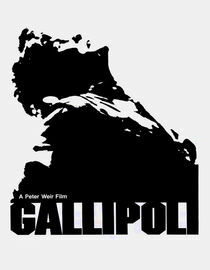 Netflix IMDB Amazon 1981 PG Peter Weir Australian Director Peter Weir takes on one of his country's most tragic moments in history: the World War I confrontation with the German allied Turks. As the film leads up to the battle in act three, we get to know the young men destined to be casualties of war. A young Mel Gibson (on the heels of his successful turn in Mad Max) plays one of the innocent doomed. This poignant war drama swept the Australian Film Institute Awards with eight wins. 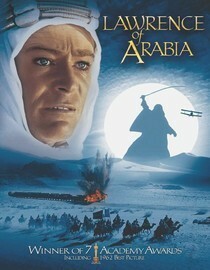 Netflix IMDB Amazon Lawrence of Arabia 1962 PG David Lean This Oscar-winning epic tells the true story of T.E. Lawrence, who helped unite warring Arab tribes to strike back against the Turks in World War I. This lush, timeless classic underscores the clash between cultures that changed the tide of war. 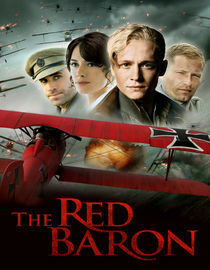 Netflix IMDB Amazon The Red Baron 2008 PG-13 Nikolai MüchöA Based on the true story of the notorious World War I flying ace, this drama explores the life of Manfred von Richthofen -- aka the Red Baron -- from his childhood fascination with flying to his renowned career in the German Luftwaffe. 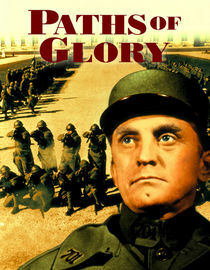 Netflix IMDB Amazon Paths of Glory 1957 NR Stanley Kubrick Colonel Dax (Kirk Douglas) leads a weary regiment of French army soldiers during World War I. When French generals order the regiment to carry out what amounts to a suicide mission against German fire, some of the men refuse and are tried on charges of cowardice. 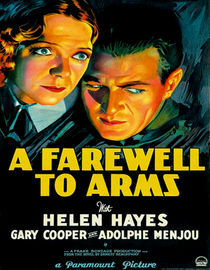 Netflix IMDB Amazon A Farewell to Arms 1932 NR Frank Borzage While serving in the Italian ambulance corps during World War I, adventurous American Lt. Frederick Henry (Gary Cooper) falls in love with English nurse Catherine Barkley (Helen Hayes). But the tumult of war and green-eyed rival Maj. Rinaldi (Adolphe Menjou) conspire to separate the impassioned lovers. Director Frank Borzage's adaptation of Ernest Hemingway's illustrious novel chalked up a richly deserved Academy Award for Best Cinematography. 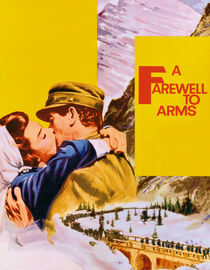 Netflix IMDB Amazon A Farewell to Arms 1957 NR Charles Vidor Adapted from Ernest Hemingway's World War I novel, this drama centers on American soldier Lt. Frederick Henry (Rock Hudson). While serving in the Italian Army, Henry has an affair with nurse Catherine Barkley (Jennifer Jones), and she becomes pregnant. The two lose touch, and Catherine is certain Henry's moved on to greener pastures. But he manages to track her down in Switzerland and arrives at her hospital bedside to find her clinging to life. 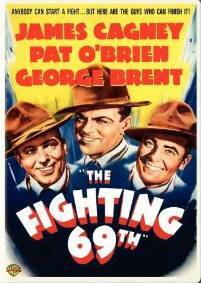 Netflix IMDB Amazon The Fighting 69th 1940 NR William Keighley When streetwise Brooklyn boy Jerry Plunkett (James Cagney) joins the all-Irish 69th Regiment during World War I, his cocky attitude creates problems. Battling in France, his recklessness causes the deaths of several soldiers. But while awaiting punishment, Plunkett receives a chance to redeem himself. Based on the experiences of real-life military priest Father Francis Duffy (played by Pat O'Brien), this exciting war drama co-stars George Brent. 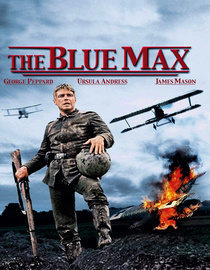 Netflix IMDB Amazon The Blue Max 1966 NR John Guillermin Bruno Stachel (George Peppard), a poor German soldier, rises through the ranks of the distinguished air force in spite of the prejudice hurled against him by the much more affluent aristocrats in the military. His aeronautical prowess soon captures the attention of a general's wife (Ursula Andress) and may even earn him the prestigious "Blue Max" medal. James Mason co-stars. 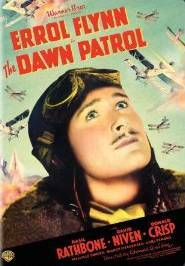 Netflix IMDB Amazon The Dawn Patrol 1938 NR Edmund Goulding Errol Flynn and David Niven co-star as beleaguered British fighter pilots coming to grips with the realities of combat in this soaring wartime drama -- a remake of the 1930 classic starring Douglas Fairbanks Jr. -- directed by Edmund Goulding. Facing enemy fire, open-air cockpits and ballooning casualties, the flyers look to their stern squadron commander (Basil Rathbone) for leadership and support.